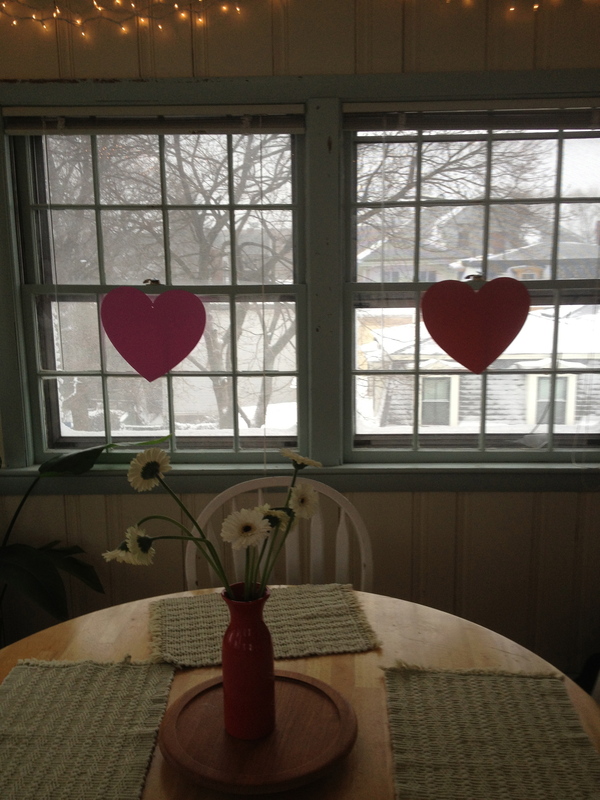 Kraig and I had a nice at home Valentine’s Day this past year. 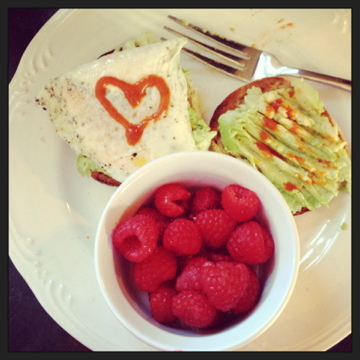 It started out with heart shaped Sriracha on our morning breakfast egg. 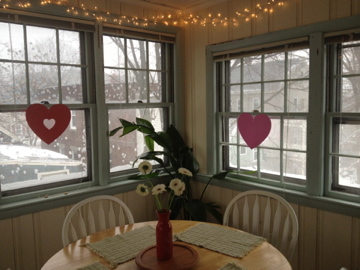 Our sunroom looked so cute with Valentine’s Day decorations and a fresh snowfall outside. Kraig left for work, so I began prepping our meal for dinner. 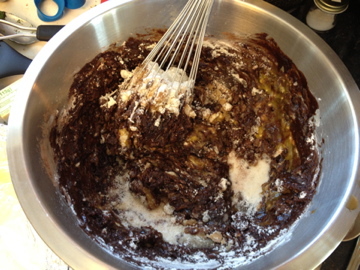 First up, salted fudge brownies. 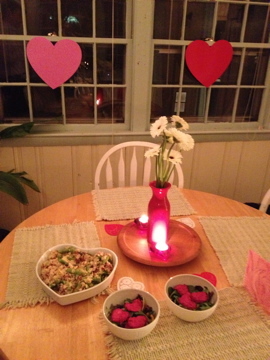 Then I prepped Giada’s Champagne Rissotto for two and a salad with Joy The Baker’s Cheese Beet Hearts. 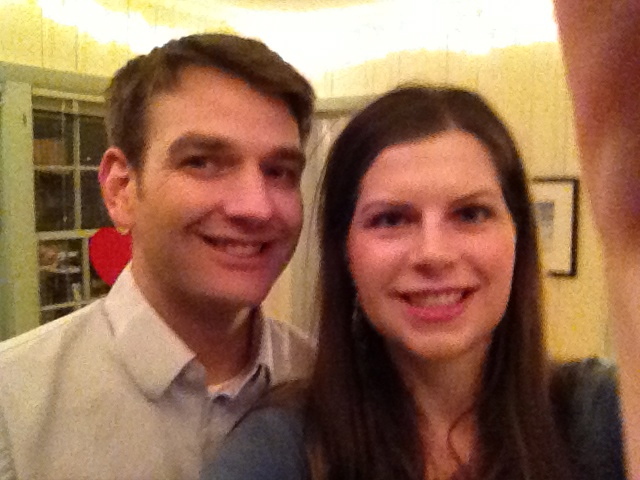 Our first engaged Valentine’s Day together. Kraig was able to enjoy the champagne with our meal, but I couldn’t drink with my concussion. 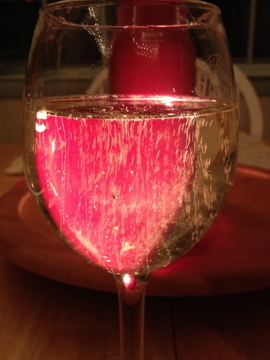 I drank some sparkly water instead. Glug. 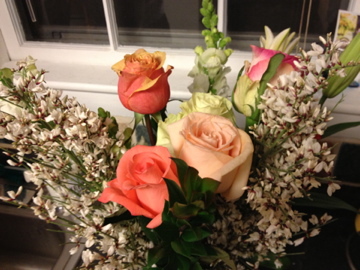 For some reason, I’ve been sick the past two- maybe even three Valentine’s Day. I hoping 2014 brings a healthier Vday with all the reoverybits I take! Naples, Florida January 2013 recap. A concussion and getting laid off. March 2013 Somerville 5k and another trip to Florida.